Each Peace Corps post hosts one or more sectors. Each sector operates within a unique program framework, which outlines the work to be done by PCVs in that country. Twice a year, we (PCVs) have to submit a standardized report on the work that we have done, and are doing. 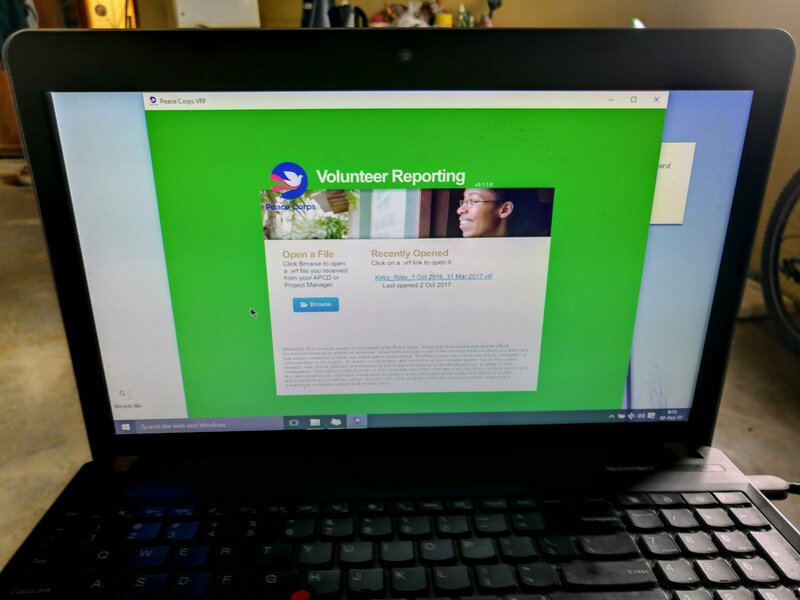 That standardized report is known as the Volunteer Reporting Form (or the VRF). It’s the report that literally seeks to answer the query, what is Kirby doing? There are general descriptors of activities or projects that the PCV has done (or is doing) along with specified indicators linking projects to targets within the framework. For example, co-facilitating a training on permagardens would be linked to health and nutrition indicators. This would target goals in the framework that deal with food security and access. The VRF also asks PCVs to report on cultural exchange activities of note. After the VRF is submitted to local supervisors, it eventually ends up in Peace Corps headquarters. From there, aggregate data can be generated about how Peace Corps is doing (locally and globally) on each specific target.